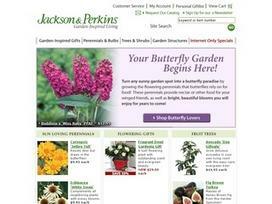 Jackson & Perkins has been in the business of selling plants for 136 years now. The store aims to provide the best plants to people to ensure that each item they sell grows and blooms. The store sells plants and blooms in peak conditions, being mindful of the climate of the home of the purchaser, to make sure that the plant stays healthy and it grows. You can find your climate zone on the website and place your order accordingly for the best growing plants. There is a wide range of plants and blooms available at the store, and they make excellent gifts for the loved ones. Jackson & Perkins guarantees complete satisfaction to its customers. Jackson & Perkins provides each purchaser with plant care instructions and in the unfortunate situation that despite following the care instruction the plant does not grow or bloom you can return it to the merchant who will replace your purchase. The store also gives excellent gift ideas to shoppers. You can search for any particular product using the advanced search. You can also shop for amaryllis gifts, trees and wreaths, flowering gifts, home decor, tools and plant care, garden plants, new roses, roses for fall planting, and much more from the store. You can view the e-catalog to see the entire collection or even order your copy of the catalog online. All the plant pictures come with complete details as well as the prices. The plants are categorized as perennials, bulbs, trees, and shrubs. The garden plants include iris, spring border mix, and hydrangea, The pictures of each of the plants are provided to give the shopper a fair idea of what it would look like when it grows or blooms. You can easily make your personal gift list at the website of Jackson & Perkins. The strong customer service network is always there to assist with purchasing decisions and answer any customer queries. You should shop from the holiday gift section to get the best live gifts. Share what you think about Jackson & Perkins, and your favorite ways to save there!